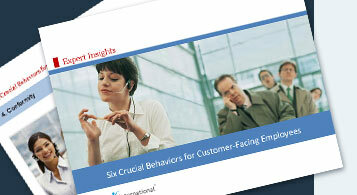 The PROFILES CUSTOMER SERVICE PROFILE™ will help you select employees with the ability and temperament to enhance the reputation of your organization. Perhaps even more importantly, the PROFILES CUSTOMER SERVICE PROFILE™ will help your organization establish and maintain the kind of customer-oriented culture your industry demands. Five versions of the CUSTOMER SERVICE PROFILE™ are available – four that are specific to the areas of healthcare, finance, retail and hospitality, and one general edition that is suitable for any industry.